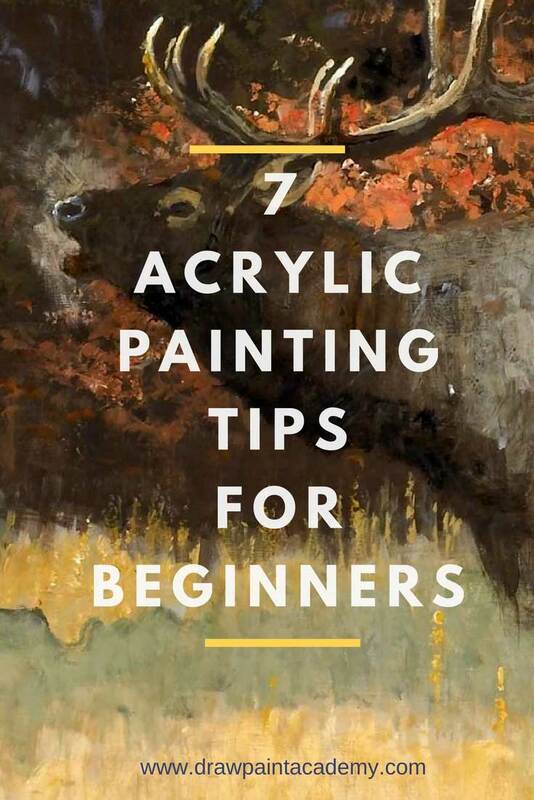 Acrylic paints are a great medium for beginners looking to get into painting. They are simple to use (once you get familiar with the quick drying times) and are much easier to clean up than oil paints. My painting days started with acrylics. They allowed me to learn all the general painting principles without having to worry about the somewhat tedious rules that come with oil painting, such as having to paint fat over lean. I recommend anyone looking at getting into painting start with acrylic paints and then consider branching out to oils or watercolors. The general painting principles are the same across all mediums. The main difference is the techniques used. Once you learn one medium at a competent level, you will find it easier and faster to pick up another medium. I also note it seems acrylic painting has a bit of a bad stigma in that people believe it is less prestigious than oil painting. This is due to the fact all the masters painted mostly in oils. But do not be fooled by this. Acrylic painting has come a long way and is a fantastic medium. There are many amazing artists who focus solely on acrylic painting. Unlike oil painting, you only have a limited amount of time that the paint will be wet and responsive on your canvas. Acrylic paint dries extremely fast, so you do not have much time to work with it. This has an upside though in that you can quickly paint layer on layer. The key here is to make sure each of your strokes is made with purpose and is decisive. You do not have as much flexibility as you do with oil painting, so each stroke must count. If you are still struggling with the fast drying time of acrylic paint, then you may want to look into adding a medium with your paint to slow the drying process. Watch professional artist Colley Whisson in his seascape demonstration below. Notice how his strokes are very calculated. Have you ever watched videos of professional artists painting? You will notice they appear to spend more time mixing colors on their palettes than actually painting. This is because color mixing is one of the most defining aspects of painting. Before you place brush to canvas, be as certain as you can about the color. 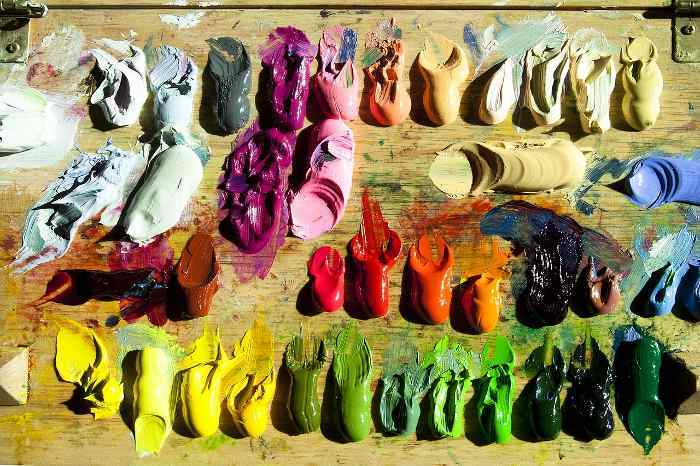 Use your palette for mixing and experimenting with colors, not your canvas. Unlike oil paints, you do not have the time to play around with the paint on the canvas as it will dry extremely fast. This is a common issue you will find with most acrylic paints - some colors will tend to darken as they dry. When mixing your colors, you should allow for a slight darkening. This effect seems to be more apparent in the lighter colors than the colors which are already dark. Whilst you may be limited by a budget, if you invest in high-quality materials you will end up saving money over the long run. They will not deteriorate and your finished artworks will be of a much higher quality. If you are looking at selling your art, then this is a must. The label to look for is ‘Artist Quality’, not ‘Student Quality’. Now if you are restricted by a budget, then I would invest first in top quality paint brushes. Then anything left over I would use for artist quality paints and canvas. To save money on paint, I would suggest you learn how to paint with a very limited palette - red, blue, yellow, white and burnt umber. Your paint brushes will deteriorate very fast if you do not clean them properly between sessions. Now I understand it is impracticable to spend half an hour delicately cleaning each brush after painting, especially if you paint regularly. An alternative would be to place the tips of your brushes in a bowl of water, laying as flat as possible without submerging the whole brush. You do not want the bristles to fold. When you are ready to paint again in the next few days, you can simply take them out of the water, dry them with a rag and you are good to go. I find it much easier to paint on a stained canvas than a glaring white canvas. The stain should be a very toned color - you do not want a stain which is too strong and vibrant. In general, I will take some yellow ochre, dull it down by mixing it with some blue and then wash this over the canvas using lots of water. The stained canvas will help you judge the values and tones in your painting. It will also make it easier for you to paint your dark values on the canvas (it can be very difficult painting the dark areas in your painting directly on a white canvas). If you want to save time, you can stain a bunch of canvases at the same time. Using large brushes does a few things - it increases your brushwork economy, makes you actually think about your strokes and makes it easier to cover a canvas. Many beginner artists are of the opinion smaller brushes will lead to a more realistic and delicate painting. However, even the great master realism painters generally painted with brushes much larger than you would expect. Below is one of the few videos I have found of landscape painter Ken Knight. You will see he uses very large brushes for most of the painting. Have any tips you want to share? Please add them to the comment section below for other artists to benefit. Careful how much water you add to your paint…too much and the paint will not adhere properly and/or slough off the canvas! I alleviate this by using a water/medium/flo-aid mixture as my thinner. I have special interest in becoming good painter. Your offer of helping in this achievement is quite encouraging. Neil, you can’t use the liquid white you use with oil paints on with acrylics. You can make up your own with some extender/blending medium. Dan, I so appreciate your help! Thank you so much! I use glycerin and water as a blending medium and extender. Mix 1 part glycerin to 2 or 3 parts water. Glycerin is thick and sticky so I put in enough water to where I barely feel the glycerin. When I want to blend something, I paint the glycerin mixture directly on the canvas then blot up the excess with a paper towel. You don’t want it sopping wet just barely wet to the touch. You can also put a few drops in your paint to keep your paint wet a little longer. Make sure you dry your painting with a hair dryer between coats if you plan on a long painting session. I also use a wet palette and keep the same paint for weeks at a time. To make sure it doesn’t mold, I spray peroxide in my wet palette on the sponge, palette paper, and paint. It doesn’t affect the paint at all. Thanks Eileen. I’ve been struggling to keep my paint from molding in my stay were palette all summer. I’ll try the peroxide! I went from oil painting to Acrylic painting I started off with Chromacryl but now use Artlier – I paint exactly like I used to with oils ! I don’t use much water mixing my paints and I also don’t use any medium. I don’t always mix on the pallet I place one paint over another on the canvas eg if I want a deep dark colour Because I never use black- I place burnt umber down then I put ultramarine blue on top then finish with alizarin Crimson this gives it depth and if you were to mix on the pallets you wouldn’t get the same results! People think my acrylic paintings are oils and to be honest one can get the same effect as an oil painting (maybe the only difference only slightly is oils are richer in colour) just depends how you paint and what paints one uses ! Hope these tips help! I was amazed you added mineral spirits to thin acrylic paint. Question. Why are the links for painting videos about mixing and for cleaning brushes related to oils and not acrylics?